Chiropractic is an alternative healing that focuses on musculoskeletal and nervous disorders. This alternative form of medicine focuses on the ability of the body to heal itself given an uninterrupted flow of energy from the brain towards different parts of the body. David Palmer, its founder, first exhibited the effect of chiropractic by curing deafness through vertebral alignment. This unbelievable healing paved the way to more research on chiropractic. However, chiropractors in modern times credit Hippocrates as the forerunner of chiropractic based on his belief that most diseases can be traced back to the spine. Chiropractic comes from the Greek words “cheir” meaning hand and “practikos” meaning efficient. Based on the etymology, chiropractic involves efficient manipulation done by the hand. The focus is spinal alignment in order for the nerve impulses to flow without any impediments throughout the body. Chiropractors mainly work with joints around the spinal column. Its philosophy lies on the fact that the body must be treated as one, big organ. 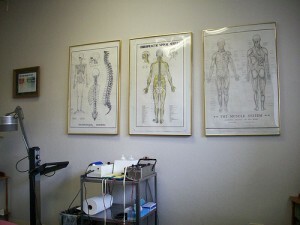 If it is your first time to visit a chiropractor, you might find it alarming to hear cracks during manipulation. This should not be a cause for concern because the sound is only due to the nitrogen bubbles in joints bursting. The manipulations are actually non-forceful ones though it can be sudden at times. The number of sessions needed may depend on the severity of condition. There are cases when only one session is enough to cure the condition while others would take more than 10 sessions. Chiropractic has been really effective in treating various musculo-skeletal conditions. For this reason, many chiropractors are now practicing in the United States. In fact, chiropractors are the third largest profession in the country with dentistry in second place and medicine in first place. Chiropractic commonly treats low back pain. Most people who visit chiropractors often report relief from low back pain. In fact, 70% of chiropractic patients come for low back pain treatment, while 20% comes for treatment of neck and head disorders. The remaining 10% comes for various diseases and disorders such as arm and shoulder related injuries, carpal tunnel syndrome, and even paralysis. Other mothers seek chiropractic treatment for their babies with colic. Some chiropractors employ spinal manipulations alone to treat musculo-skeletal disorders. There are, however, those that uses other modalities such as heat and cold therapy to help alleviate pain. Some chiropractors, on the other hand, prefer a holistic approach. Their treatment involves giving homeopathic remedies, vitamins, herbs, nutritional intervention and applying massage to patients. This type of chiropractors are known as mixers. Most of chiropractic practitioners fall under this category.